Kenneth W. Rice, my partner and best friend died on October 10, 2018, at his home in Rushville. Nebraska. He was the youngest of 5 children and was born February 18, 1947. He spent his first 40 years around the Custer and Hill City, South Dakota area. Kenneth joined the U.S. Navy in January of 1965. He served aboard the USS Okinawa (LPH 3) with one tour in Vietnam. 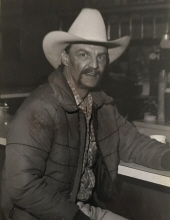 He was a logger for many years, a drug and alcohol counselor and part-time deputy. He traveled with his wife for 20 years through Europe as a Navy Spouse. They moved to Rushville, in 2007. Survivors include his wife Lucy of Rushville, his daughter Tonia Barber and grandson Masson Barber both of Grand Junction, CO, and his sister Glenda (Jack) Knust of Custer, SD. He was preceded in death by his parents Glen and Mae Rice, and his brothers Bill, Gary and Donnie. Private inurnment of ashes will take place at a later date. The family suggests memorial donations to the American Cancer or Lung Association. He will be missed and forever in our hearts.